Ketchikan, AK - A local man has revived a Native tradition of hunting seals. 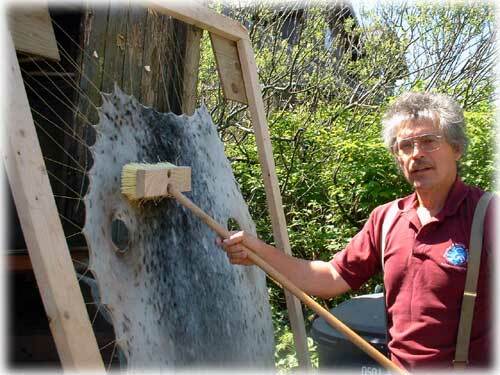 Don Beck, a Haida Native, was visited recently while cleaning several seal skins at a Ketchikan home. Beck, born and raised in Ketchikan, has enjoyed practicing his traditional right to subsistence harvest from the local seal population. 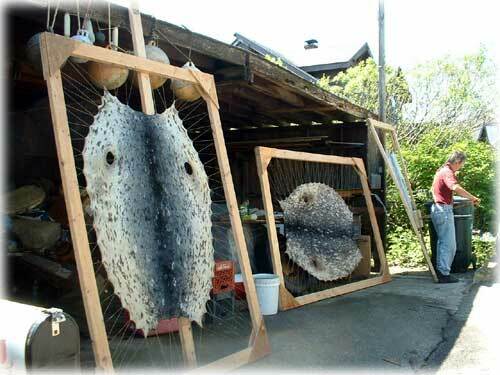 To clean the seal skins, Beck stretches the skins over a wood frame. Beck said he uses 18 gauge string to spread the skins tight. Then a special soap solution is used to scrub the skins clean of oils and residue. After a thorough and repeated scrubbing, the seal hides are sent to Anchorage for tanning. After tanning, the hides return to Ketchikan where they are shared for traditional crafts and adornment. Uses for the soft, lovely skins include decorations for purses and garments. 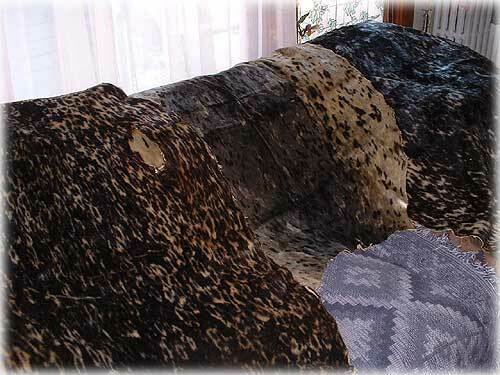 It would be unusual to make one item entirely from the seal skins. Instead, the hides are mapped out and cut into decorations for vests, boots, moccasins, purses, and bags in such a way that the natural design of the fur can be used for its maximum beauty in adornment. Both the male and female hides are harvested. Often, the females are quite a bit larger and yield more useable material. Beck took the seals from waters near Revilla Island.